I heard about Painting With A Twist while watching Fox News while I was recovering from surgery. My hubby and co-owner, Jaye and I, both have a law enforcement and military background. In fact, we both met while we were both deployed to Iraq in 2005. Jaye retired from the U. S. Army in 2008 after 25 years of dedicated service and now does contract work for the military. 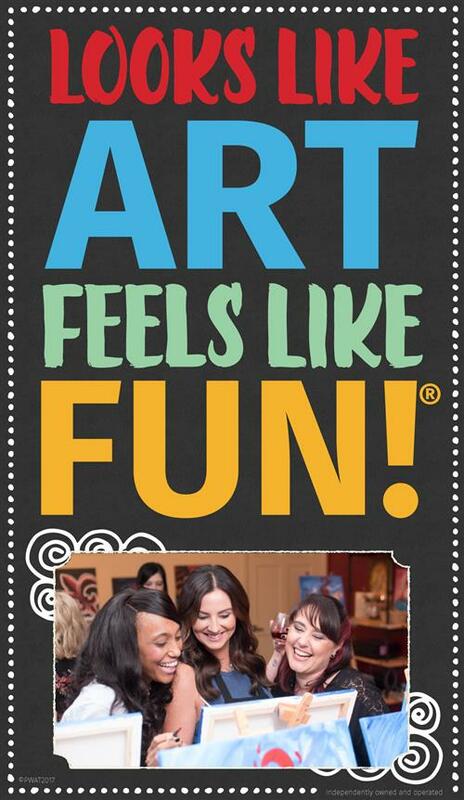 I wanted us to be able to switch gears and be part of bringing FUN & creativity into people's lives, so PWAT is perfect for us! I am currently working on my PhD in Forensic Psychology, so I NEED Fun, too! 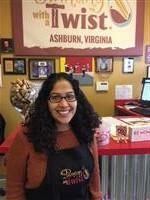 We are so grateful to be part of the PWAT family, & the Loudoun County community! Fun Fact: We love the simple things in life: being outside, enjoying time with friends, family, & our furbabies, (Toby & Halle), running, working out, etc. Oh, and we have 2 awesome kids in college full-time, Kristianna & Camran, so we're broke!!! 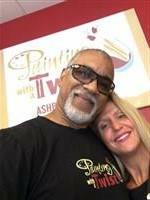 My wifey and fellow co-owner, Melanie, heard about Painting With A Twist while watching Fox News while she was recovering from surgery. We both have a law enforcement and military background. In fact, we both met while we were both deployed to Iraq in 2005. I retired from the U. S. Army in 2008 after 25 years of dedicated service and now work for the military in a civilian capacity. My wife wanted us to be able to switch gears and be part of bringing FUN & creativity into people's lives, so here we are with the PWAT Family! 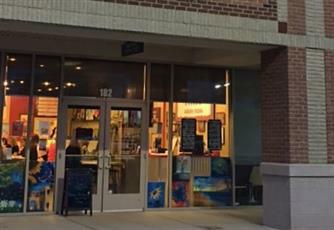 We are so grateful to be part of the PWAT family, & the Loudoun County community! Fun Fact: We love the simple things in life: being outside, enjoying time with friends, family, & our furbabies, (Toby & Halle), running (Let's be honest....my wife makes me run! ), working out, etc. Oh, and we have 2 awesome kids in college full-time, Kristianna & Camran, so we're broke!!! Hello! I'm Yelyzaveta, or as many call me: Lisa. I'm a trilingual artist and history aficionado born in Ukraine who grew up in America. I have taught art for two years at various studios before settling at Painting with a Twist, which is unbeatable in terms of the positive atmosphere and accessibility towards art! I have experience working in book cover illustration, graphic design, and freelance art. My favorite medium is watercolor, but I adore the versatility and vivid nature of acrylics. I love to paint people above all--there's nothing quite as captivating as the mystery of the visage and the portrayal of it on paper. http://yelyzavetashevchenko.crevado.com Thank you for welcoming me as part of the team! Casey lives on her family’s farm on the Shenandoah River in Bluemont, VA with her husband, Wes, and newborn son, Cole. 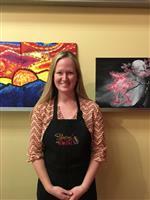 She has been an artist all her life and incorporates her art and creativity into everything she does. She received her Bachelor of Science in Health Sciences from James Madison University in 2012 followed by her Master of Public Health from George Mason University in 2014. 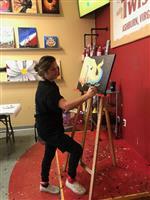 Prior to working at Painting with a Twist, she worked in the health field, focusing on the healthy and active aging of older adults. 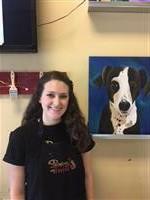 Casey explores many forms of art including painting, sketching, ceramics, cake decorating, and photography. She launched her own photography business in 2013 and she has experience teaching scrapbooking, digital art, and kids craft classes. When Casey is not creating, she enjoys running, kayaking, and hiking. Stop by and say hello! Liz is a sassy new addition to our shop. She’s travelled through Europe and Africa, loves to cook huge meals, and share anything that brings her joy! She is driven by women-empowerment, wants others to see that anxiety can be overcome, has a high-octane energy, and an infectious laugh you cannot ignore. With a fierce love for sharing her life, she’s been painting at home and for friends this last year and a half. When she’s not home with her 3 kids or at her day-job, she’s running an online makeup and skincare business as well as helping women get their goals and plans set into vision boards for the year. 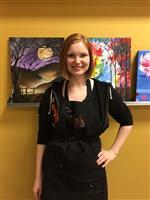 Come meet her and enjoy a painting class full of laughs and fun art!